LUMPENPROLETARIAT—We can learn a lot from utopian storytellers, such as Sir Thomas More (1478-1535) with his best known and most controversial work, Utopia (1516). But, perhaps, we stand to learn even more about ourselves and the human condition from dystopian stories, such as the 1910 novel by H.G. 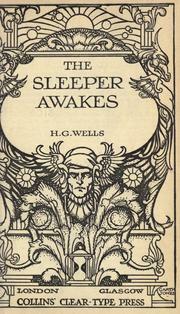 Wells (1866-1946) entitled When the Sleeper Wakes. More recent entries into the collective dystopian canon include Cormac McCarthy‘s The Road (2006), which was also made into a feature film starring Viggo Mortensen.